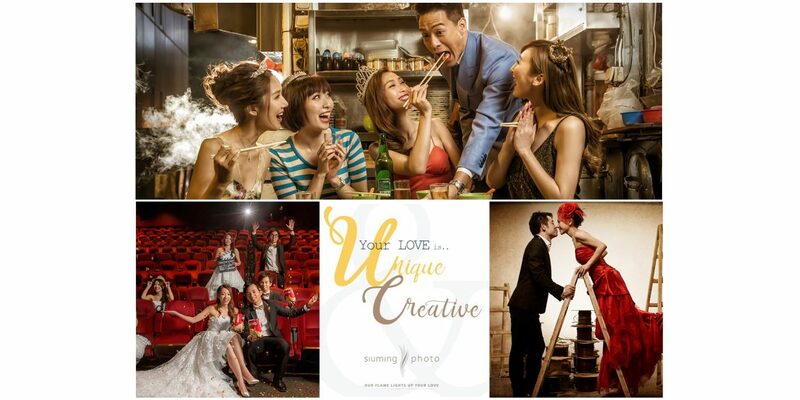 I love to ask my clients to share their love / touching / interesting stories among them, not only understand more about them but also I can make use of my design thinking skill from Design School before to create a UNIQUE, CREATIVE & MEMORABLE image in AESTHETIC way. Story background: They love hiking in HK very much. 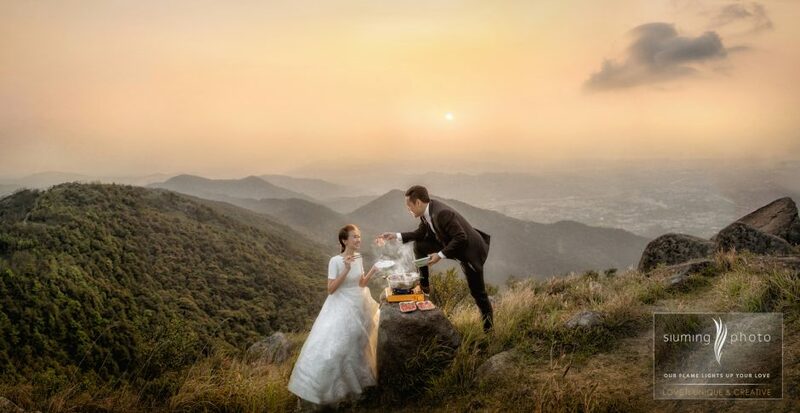 They brought their own “hot pot” to cook during waiting the sunrise few year ago and they found it’s the most special moment of them. So I make use of this concept to create this image. Story background: They enjoy the gambling time with their friend during gathering. So I use the dramatic lighting with the gambling props at the staircase to create this interesting image. Story background: David is a corporate interior designer and shooting location is one of his client’s office. They want a special shooting background so i suggest to have shooting there since I found many interesting elements such as wooden ladder, wires and make use of lighting to create this unique image. Story background: They met each other in Pizza-hut during the summer internship. 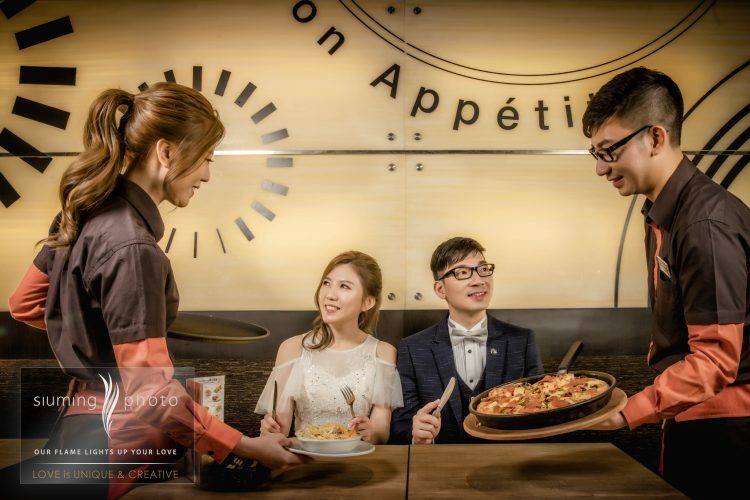 So they book the same Pizzahut restaurant when they were first meet. I request them to dress up as waiter (Past) and serve themselves (Present). 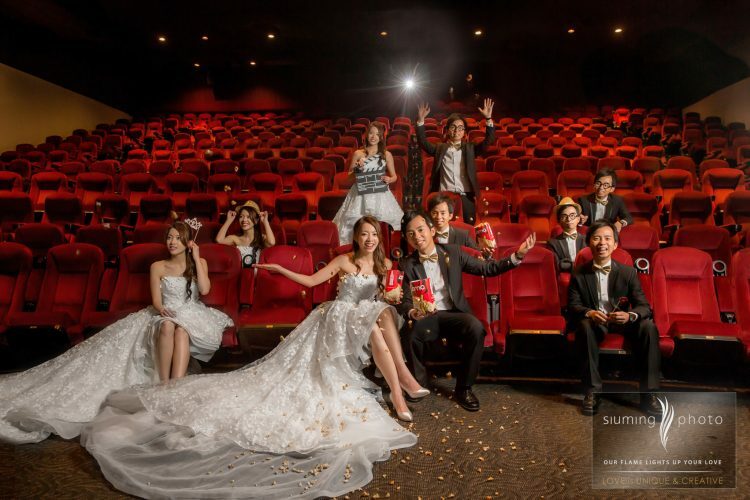 Story background: Fion & Kenneth met each other when they were colleagues of AMC cinema, they’d love to have cinema as a background of their prewedding. Would you discover there are how many person shown in the picture? It’s 2 ONLY!! I make use of multi-exposure to create many audiences from 2 persons only because crowd of audience is the key element of cinema. If you want your love story presents in the creative way, please don’t hestitate to contact us for details. SiuMing should present it out of your imagination!